Finding the right topic for your blog that enhances your website’s SEO ranking, is the first hurdle in the process of creating a stellar piece of blog content. Content is the core of an effective SEO strategy. 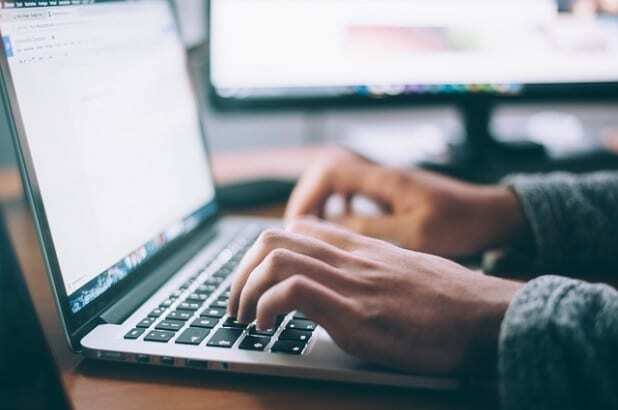 Other than boosting the audience engagement, presenting compelling blog topics has been known to improve search rankings and helps companies gain a sizeable consumer base. Hence, we have presented a few great strategies that marketers can adopt to find relevant and engaging blog topics that also boost the SEO of their websites. Dividing your services and products into sections, or keywords and phrases would be a good idea in order to come up with great topics for your blog. So think about the themes and features that best define your business, and how potential consumers will benefit by your services. Narrowing down the niche or area of your blog helps you to come up with brilliant ideas. You also need to focus on the keywords and terms specific to your industry for whichever blog topic you choose to write. Experts on SEO also recommend focusing on seasonal topics. Whether it is Thanksgiving, Christmas, or the beginning of summer, connecting your blog topic with certain holidays or events will help your blog to resonate with your target audience. You can ask any content marketer about generating blog topic ideas, and everyone will unanimously tell you to try Google. Rightly so, because Google can provide the information you need, regarding your potential consumers’ search queries and has a number of tools that can help you create relevant blog content for your target audience. 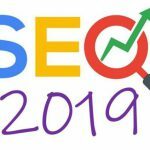 Google Related Searches: This section is displayed at the bottom of the SERPs (Search Engine Results Pages) and contains the keywords or terms related to your own search query. Google Trends: Type in specific keywords associated with your niche to determine if they have a high volume over time. You can leverage those to present evergreen content. If you want to write about a trending topic, you can go through the current trends. Google Suggest: write your keywords in the search box and see what suggestions come up. People Also Ask: You can find this section within the SERPs, underneath the featured snippet, and it shows you the suggestions for related questions that consumers may have asked. 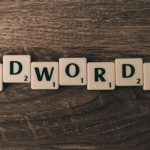 When we talk about finding blog topics that would transform your SEO, the way to begin the whole process is by carrying out proper keyword research. When you opt for topics based on fairly popular search terms, you automatically elevate the chances of your content reaching its intended audience. Try using Google Adwords Keyword Planner to find intriguing ideas. This tool allows you to determine the keywords that are related to your particular area or industry and presents them according to their popularity. Once you go through the list, you should be able to find credible ideas for your blog topics. For example, an e-commerce business may get phrases like “online shopping ”, “best brands to shop online” which could be used to create blog posts. Keywordtool.io is another effective website for generating excellent blog topics. Keywordtool.io utilizes Google’s autocomplete to derive a massive variety of keywords. This tool tells you the questions that can be developed through your seed keyword. Hence, you can apply these questions directly while presenting a new blog post that will fetch you substantial organic traffic. While performing research on your keyword, you must always choose long tail keywords to amplify your conversions and click-through rates. The reason is, they address the queries that consumers who are in different stages of the buyer’s journey, are likely to use. The approach to be particular with your keywords and blog topics probably sounds counterintuitive. But, when you get down to writing blog articles that specifically address the issues your audience may be facing, the audience will automatically pay attention to what you have to offer. So essentially, you’re pre-qualifying your target audience. You may get a limited number of site visitors, but those who do click through to your website can be converted into buyers. It’s always wise to have a specific audience who visit your site and convert into consumers, rather than getting plenty of visitors that bounce because they aren’t actually searching for the answers or solutions you are willing to provide through your product or service. Going through social media conversations is another idea you can apply to find topics for your blog. 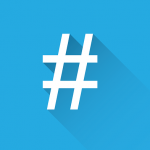 Hashtags are quite similar to your keywords – they lead you to trendng topics and issues. For instance, if you are from the Edtech industry and you are looking for ideas on your next blog post and want to write about the consequences of plagiarism, you can use a hashtag like #plagiarism checker. Also, checking the trending topics on LinkedIn, Facebook, and Twitter allows you to generate new ideas for your business to become a point of conversation on social media. Joining several Facebook groups dedicated to bloggers can also provide you with useful insights on blog topics. In fact, many businesses are known to use internal Facebook groups where stakeholders and employees share their stories or perspectives and news, which are an excellent source for your blog content. Facebook groups: When it comes to generating blog topics Facebook can provide valuable insights. You can look for several groups on the social media site that are specifically dedicated to your blogging niche. Going through their posts will allow you to gain some perspective on the trending topics in your area of interest which will work well for your website’s SEO. Quora: A popular question-and-answer forum. According to studies, there have been nearly 11 million questions submitted on thousands of different topics and that number is only on the rise. 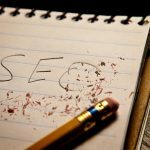 You can use particular keywords related to your blogging niche and find relevant topics and also check out the queries people have made and repurpose them into SEO friendly blog posts. Reddit: Reddit has many communities specific to different subjects and topics. You can generate blog topics from Reddit by participating in AMAs (ask me anything), checking subreddits, or by hosting your own AMA. The queries your target audience is making could be hiding in plain sight. That’s why you should talk to your sales and customer service departments to gain some insights on the kind of queries they usually get. If your website has a live chat feature, you can collect the relevant question details by digging through the live chat sessions. This is a great way to get a direct understanding of consumer concerns and issues in their own words. Chat sessions can be a goldmine of keywords and searches queries that you can use to generate a relevant blog topic. Setting up content alerts is another smart move. Google, or even BuzzSumo, has an alert feature. This feature notifies you whenever there is a new blog post or content that comes out on the popular websites. Setting up these notifications allows you to keep tabs on trending topics and leverage them to generate ideas for your own blog. You should always check the specific aspects of the trending pieces that are relevant to the niche or the area that you have chosen for your blogs. What kind of content is likely to resonate with your audience? Consider this and then come up with a blog topic based on a specific angle. While search engines and social media may be the go-to option for many for trying to find a perfect blog topic, there is another (slightly less popular but immensely effective) option, i.e. the comments on popular blog posts within your niche. Since the target audience is somewhat similar to yours, the issues highlighted by readers within the comment section tend to be extremely helpful in terms of generating fresh ideas for your own blog. So follow popular blogs in your niche, check out the latest posts, go through the comment section, and take note of the queries people have made. Then choose blog topics based on the questions posed by commenters. Apply all of the above tips to present some great blog posts for your target audience. Nathan William is an assignment help expert on MyAssignmenthelp.com. 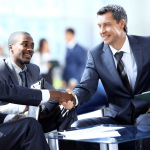 He is a marketing analyst who has been in this field for close a decade. He has pursued his MBA from the University of Melbourne. He has also written several e-books on content marketing and social media marketing. I like your blog, very practical information. Getting a custom web design in UK, I personally think is a great idea and if your web clicks in the eyes of its visitors you can definitely capture a loyal client audience and for that it’s obviously worth looking through custom web design packages.